I love my iPhone. Seriously, they will have to pry my phone out of my cold dead fingers since I almost always have it in my clutches - or within inches of my face when I am sleeping. At #BCUK with phone in hand! I used to be loyal to Nokia and d'you know? I really can't remember the fateful day when I became an Apple fanatic. Whether it was a case of keeping up with the Jones' or a persuasive salesman.. I really couldn't tell you. But I'm a believer that on the whole the world is split in Android or Apple and although I've dabbled I'm not a fan of the little green man. So of course as an aside to this obsession comes the accessories market. I do love accessories. I know I've got thirty handbags already but that doesn't stop me wanting another one with a slightly different floral pattern on it. And the same goes for my tech. I love buying bags and cases for my stuff, folding, protective, padded, pretty - even as I type I can appreciate how sad it sounds but I know I'm not alone. Anyway, I digress. 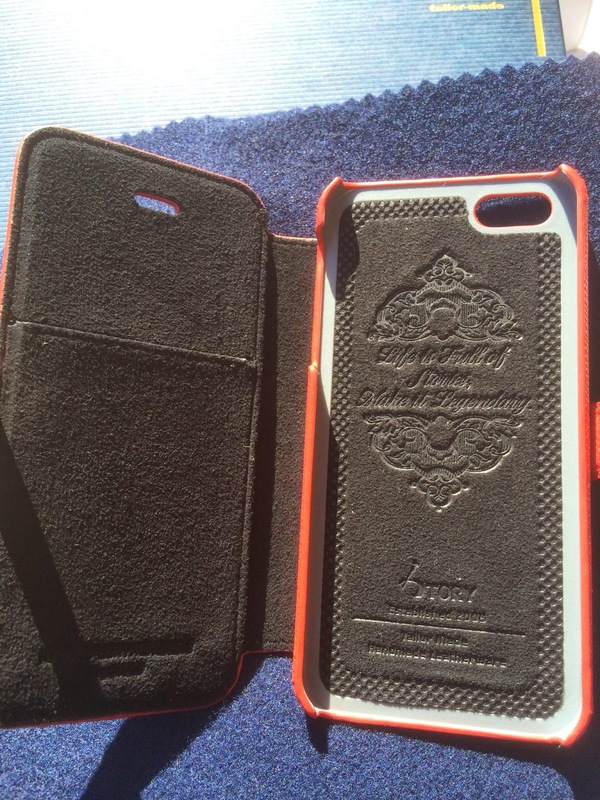 So I was scrolling through my Twitter feed when I spotted a call for bloggers to review iPhone 5s cases. Faster than you can type: "pick me!" I got in touch with Jonathan from StoryLeather, an American company who will ship custom handmade premium leather phone cases plus wallets, bags and more internationally and he offered a choice of cases for me to try. Browsing the website was a treat- lots of styles, designs and colours to choose from. normally i go for pink but this time chose a textured red leather finish with a cute metallic logo. When the case arrived (which didn't take long) I was blown away by the awesome packaging. 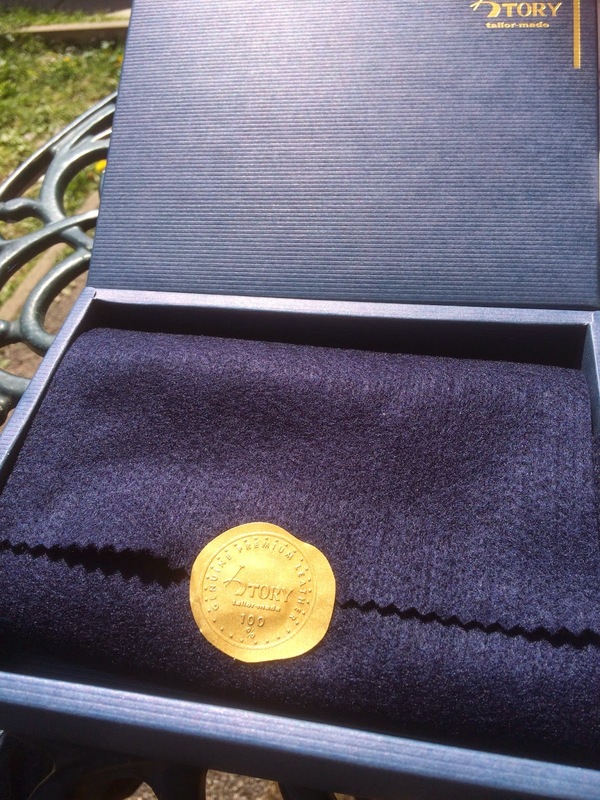 Opening the transit bag I found a tasteful navy box and opening that I found luxurious fabric wrapping sealed with a gold seal. Ripping that open I revealed my phone case. Now i'll be honest. the story leather case sells for considerably more than the Ebay-bought PU "leather" case I was using and in fact was happy with. I was almost reluctant to swap over. And at first I wasn't sure. My old case had a wrist strap which I like for security when I'm out in London and four slots for cards instead of the Story Leather case's one. I like those to keep a couple of business cards and my train ticket in. I planned to use the new case a couple of days for a fair review and then to swap back. But let me tell you dear reader I very soon grew very fond of my new red case. You can feel the quality and the reliable and effective magnetic catch is fantastic. Even the bits of the case you can't see while it is in use exude quality. However the thing which made me fall in love with this case is its slim design. Even though the phone is in the case, I think the dimensions still feel like an iPhone 5s - and after all the design of the iPhone is almost as important as its many functions to the people buying them. When I'm holding the phone in its Story Leather case it feels secure, all the buttons are accessible and unlike my old case there is no coloured aura on my pictures where the camera is being partly obscured by the case. It slips easily into my pocket and the phone section of my bag and people have commented how beautiful it is. I love it so much I even changed my nail polish to match it! If you head over to the Story Leather website quickly you will see they are doing a special discount code in time for the US Mother's Day celebrations on May 11. Use promo code MOM2014 when you checkout and get between 10 per cent and 25 per cent off depending what you order! 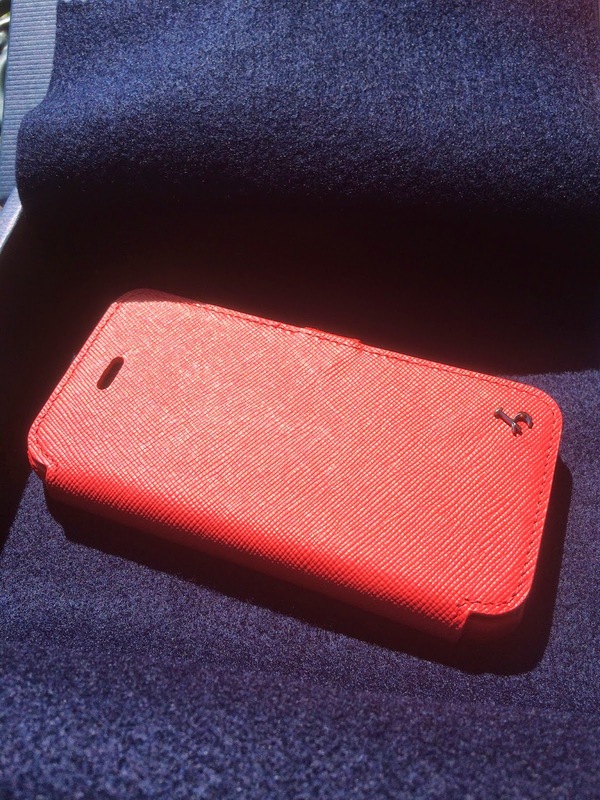 Disclaimer: Madmumof7 received a free iPhone 5s case in return for this honest review. Views and opinions as always remain my own.